With the new changes in Google Forms, making quizzes is now even easier. I’ve been using Google Forms exclusively for quizzes in my paperless classroom. Here are some tips for making your Google Forms into Awesome Quizzes. 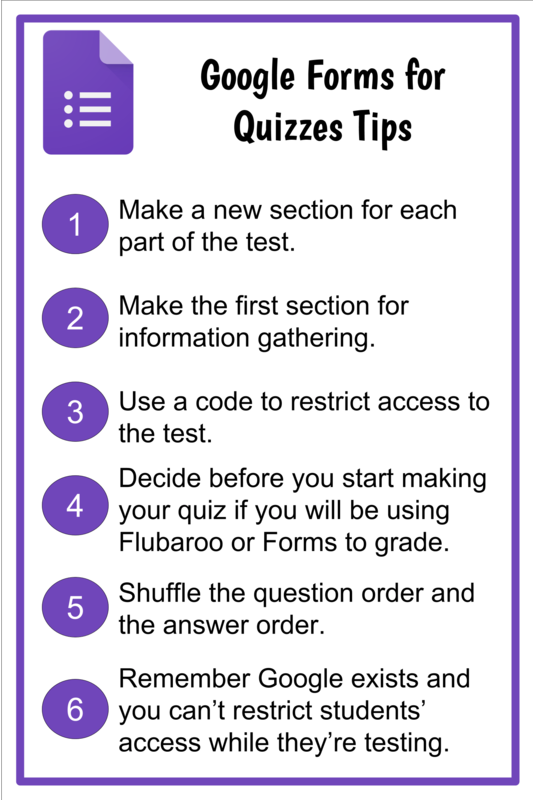 For more tips, watch my workflows on setting up a quiz from Google Forms.